The image above shows why the ‘threequals’ (===) is superior to the double equals (==). If you want true equality, the kind of logic you’d expect with any other programming language, use the threequals. It is the predictable choice. 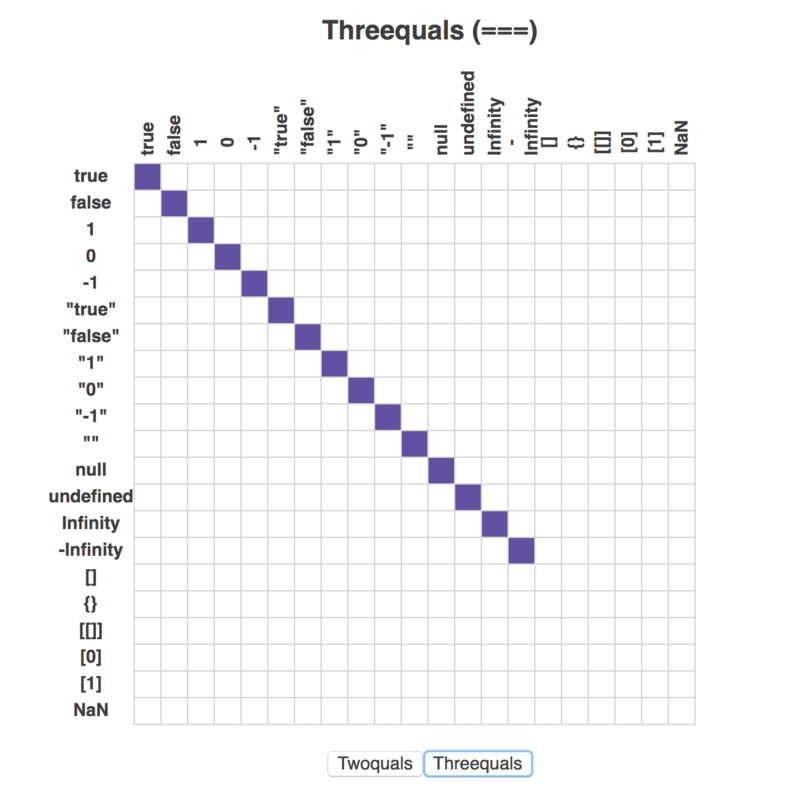 From here we can toggle a state value view between twoquals and threequals. All math happens in the initial state. My advice is to never use the evil twins. Instead, always use === and !==.